Home/Articles/Why Rich Chinese Are Becoming Immigrant Investors in other Countries? China is not only a force to reckon with, but the country is sprouting up more and more of people who are willing to invest a huge sum to gain a second citizenship of another country as the borders tighten. While many a countries are opening their gates for new arrivals owing to the increasing demand, the trend seems likely to stay. A huge influx from China is taking part in this trend of global migration by involving in schemes that reward participants with residency. Industry expert from CTrustGlobal, informs that the increasing demand of citizenship from Chinese netizen has sparked up an all-time high last year. And the first quarter of 2018 has also seen the interest strengthen. Dominica Citizenship by investment being the most sought after scheme currently at CTrustGlobal, the spokesperson says that the number of Chinese applicants for this program has almost doubled over the last year! Which Countries are the Rich Chinese Choosing to Relocate to? Following the success graph of the Caribbean and Mediterranean countries citizenship by investment programs, US, Canada, Singapore, New Zealand and many of the EU countries have started their economic citizenship schemes. To tackle the increasing demand these countries have started offering immigrant visas to investors with high net worth. The increasing applications from Chinese nationals is not only restricted to Dominica, or other Caribbean and Mediterranean countries only. However, USA, Canada, Australia and New Zealand have traditionally bore the attraction, but lately several other notable countries including the EU states such as Cyprus, Greece, Portugal, Hungary, Spain residency and citizenship schemes are fast catching attention from the Chinese dragon. The fact that these countries not only help afford easy visas, but also help in investing in property for the return on investment is a major motivation for those who are interested in buying houses for the purpose of residency or lease! 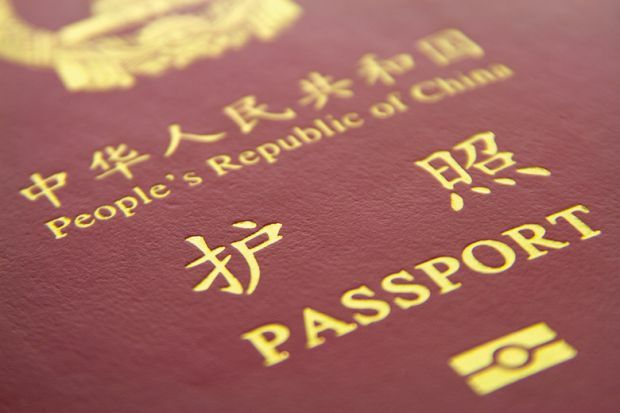 What has Triggered the Chinese Nationals to Seek Citizenship Elsewhere? ‘Sea, sun and easy visa’, as reports the Financial Times, are the major motivation behind this influx. The freedom to travel with lesser visa restriction is the most basic reason why people look out for immigration options, be it from China or anywhere else. However, there are many others factors that contribute to the trend. China gives its people access to around 45 countries without visa, India 36 and Pakistan 32. Naturally, to be able to grab more opportunities, people form these countries have been increasingly looking for better passport power and freedom of travel. CTrustGlobal spokesperson explains that for many investor immigrants, buying a new citizenship through investment schemes is to secure an ‘escape route’ from their own country. The market consistently consists of wealthy Chinese buyers who are looking for an economically, politically and religiously stable place to secure their families future. Putting down a few hundred dollars can help one buy residency permit and the right to buy property and live in another country. Along with that, the residents/citizens can also take advantage of its tax, health, education and many other benefits which is but an optimistic outcome of getting a new passport! This is one of the ways how Chinese money is moving into the world economy! An extra passport can be a useful business tool, a lifeline for many and even a status symbol for some! If you don’t want to miss out on trips, while your single passport is in the embassy being processed for getting visa-ready, you have to think hard and invest in getting another passport. The benefits of having dual or multiple passports are many. And if you do have the kind of money to invest for more mobility, then a citizenship by investment is only but a gateway for success! Seems like our Chinese counterparts are smart enough to sense the lurking opportunities and therefore showing eagerness towards citizenship schemes in huge numbers. St Kitts has the longest running citizenship program which have been attracting foreign investors ever since 1984 when it started to attract foreign investment. Traditionally, wealthy investors form Russia, middle east, and Asia have been the ones utilizing the opportunity. Other than China is other Asian countries, including India and Pakistan are also contributing to the trend of Asia sweeping over the citizenship by investment program of these countries.